Do you need some of the best cloud backup & storage options Brisbane has to offer? Less Stress Computer Services are specialists in cloud backup and storage. Cloud backup & storage was designed to make your important files or data more secure than ever before. Replace your onsite hardware with cloud backup to save your files by keeping a copy safely online. Backing up your files with the cloud enables you to view your data via the internet, from wherever you are and at any time, without requiring loads of physical IT infrastructure. Less Stress provides individuals and businesses with the most efficient, simple, convenient and secure cloud backup & storage solutions available. Using cloud backup & storage from Less Stress Computer Services, data can be encrypted to ensure it is protected from unauthorised access. We offer different kinds of security options, such as file locking and restriction of access for individual users to ensure you have absolute control over your data. The fantastic thing about cloud backup & storage is that it permits you to access your data from anywhere – no matter what device you use – your files are always completely safe and secure. To ensure the safety and security of your business, complete protection of your files or data is a necessity. Cloud backup & storage ends the fear of data loss crisis and ensures you are covered with a disaster recovery plan. 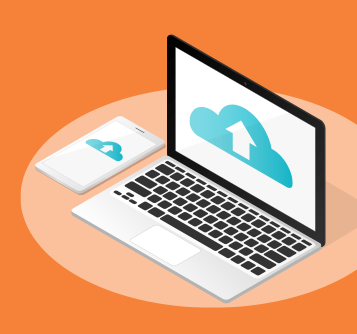 We can create and implement custom cloud storage backup that is secure, scalable and easy-to-use to help improve your IT functions for efficient performance. Protect your business with a practical cloud solution. Some business owners don’t bother to backup their data until they have the awful experience of data loss. If you have ever suffered any critical data loss such as client files, financial data or ongoing project information due to system failure, malicious virus attack, spyware or a computer hack, you will understand the importance of having your data backed up. It takes significant time to recover any lost data and can impact business negatively when it affects service to your clients. Don’t wait until all your data is lost before you get cloud storage backup for your business. Use affordable cloud backup & storage from Less Stress Computer Services to backup your local files, software applications and settings. These can then be easily retrieved and restored within a few minutes if you suffer a data loss. 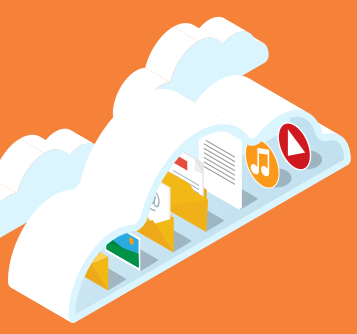 Cloud storage backup saves business owners time by easily reloading all the apps, files and settings you normally use. Having cloud backup & storage for your business gives you peace of mind that your business won’t be threatened if you suffer a data loss. Contact Less Stress Computer Services for a custom cloud backup & storage package to best suit your business needs.